This is the third Christmas I have spent away from my own family. The first was in 2001, in East Berlin, when I was 20 years old. I was studying abroad in France, and I managed to procure an invitation from a German boy exactly three years my senior who had visited my family in Idaho in 1997. 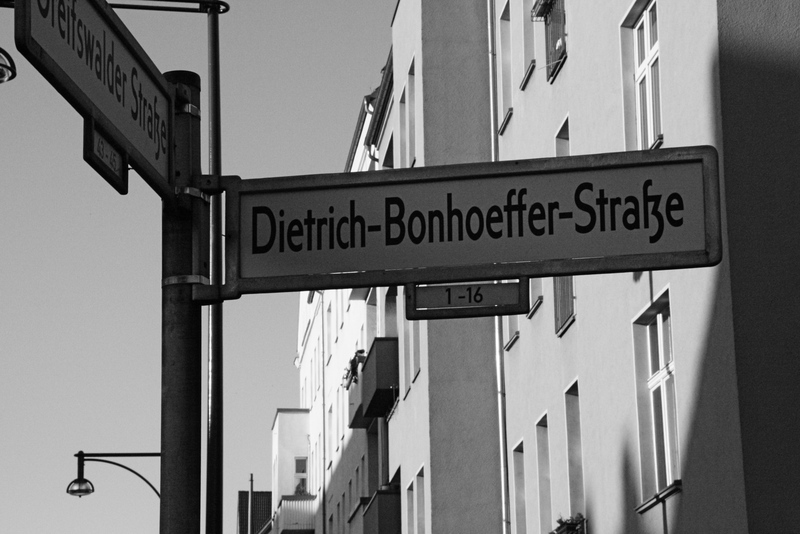 I took the train to Berlin, met him at the station, and went back with him to his mother’s white-paneled apartment on Dietrich Bonhoeffer Strasse, where he and his brother had been staying since before the wall came down. For a few days, I walked around the city with them hearing stories of how things were before (“there were towers with men, and in the middle, there were sharp dogs”). On Christmas eve, we went to church together. They had brought in a fresh evergreen tree, attached real candles to it, and that evening we lit them. Then they sang for their presents, and made me sing for mine… mostly chocolate, and I ate so much of it that my wool pants became tight. In 2004, I was in France again, and this time I went to the Alps. The mountains were so massive and blindingly white that when I emerged into the Alpine village, I felt almost frightened; as if it all would tumble down and crush me with its sheer magnificence. For company, there was one of the kindest extended families I had ever met: Pierre, Christine, Sophie, Sebastian, Antione, the other Pierre, Giles — and then me — all crowded into one small rented chalet. They had invited me because I would otherwise have been an orphan. In the evenings, we played French versions of charades and murder, laughing until we were hoarse, and we went to a small bar we found in the village to dance late into the night. On Christmas eve, we ate fondue, or maybe crepes, and then we exchanged gifts. I gave everyone a really gross-looking giant homemade cookie containing chocolate, which caused Pierre the elder to remark: “tu es originale.” On Christmas day, I took the train back to Rouen, and did not speak a word of English to anyone, not even myself. This year, I traveled to Southern California, close to the area where all the military bases are, to be welcomed by a Naval chaplain and his wife of Scandinavian descent. The Naval chaplain’s four sons had chosen a book for him on Dietrich Bonhoeffer, and Louis set it under the tree. On Christmas eve, we ate aebleskiver, cooked in a cast iron pan specially made for it, and opened one present each. I received a box of chocolate. Then we went to a Lutheran candlelit service, which reminded me of the Lutheran service in German I had attended precisely ten years before. We even sang Silent Night. This time, Louis’ four-year-old niece, who had decided she wanted to sit on my lap, fell asleep on my shoulder a few minutes in. Louis took her from me with the closing blessing and carried her to her parents’ car, carefully, through the semi-chill of inland Orange County at 11 p.m. in December. We went back and prepared for the morrow by staging a tableau of crumbs, complete with a formal note to Santa: “Dear Santa, please accept these milk and cookies as a token of our appreciation.” I never believed in Santa as a child, but somehow this pleased me immensely, and I flung my arms around Louis, there in the living room with the tree lit up behind us, and giggled like I was six years old.